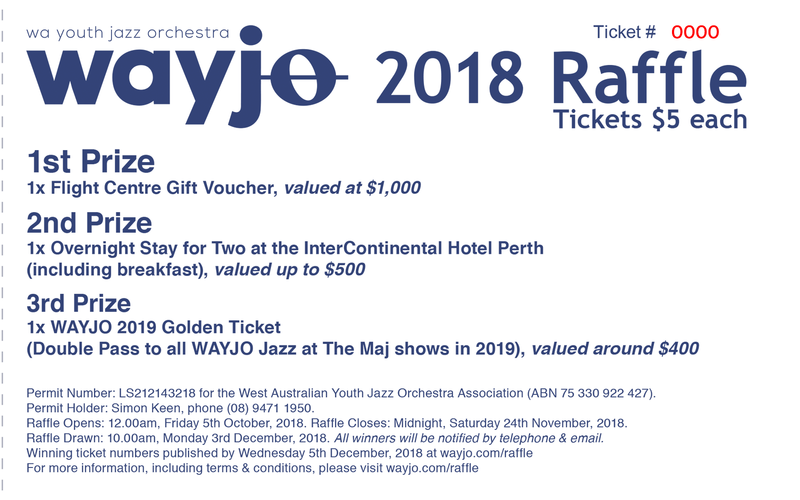 Help WAYJO end their 35th anniversary year on a high note – raffle tickets are only $5, with prizes totalling just under $2,000! The WAYJO 2018 Raffle (Permit Number: LS212143218) opens 12.00am, Friday 5th October, 2018 – and closes Midnight Saturday 24th November, 2018. The Raffle will be drawn at 10.00am on Monday 3rd December, 2018. All winners will be notified by telephone and email. The winning ticket numbers will be published on wayjo.com – Wednesday 5th December, 2018.